Home » Posts Tagged "Door County lodging Ephraim"
With Valentine’s Day right around the corner, why not give a gift that you can both enjoy? Surprise your sweetheart with a romantic vacation! 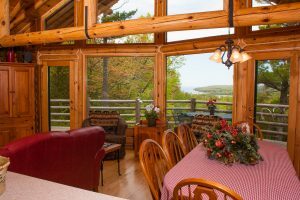 When choosing Door County lodging, Ephraim is an ideal choice. It is centrally located and close to activities, restaurants, shops and more. Let the qualified staff at Bay Breeze Resort help you plan a spring, summer or fall getaway. Door County is home to several local theaters including Northern Sky Theater, Peninsula Players and Door Shakespeare. Located just minutes from Bay Breeze Resort, the Door Community Auditorium features the best in local, regional and national music performers. Take a sunset cruise. Door County sunsets are legendary for their beauty. Departing from Ephraim’s South Shore Pier, Stiletto Sailing Cruises and Bella Sailing Cruises offer relaxing evening cruises allowing you to leisurely enjoy the view. Tour a winery. Door County’s unique climate makes it ideal to grow grapes and the area is home to multiple wineries. The Door County Wine Trail website can help you find them all. Enjoy a unique dining experience. Door County is home to too many eateries to mention. Whether you’re looking for a traditional fish boil to something more intimate, check out these restaurants a short drive from Bay Breeze Resort. When you arrive at Bay Breeze Resort, ask our front desk staff members, who are all Certified Tourism Ambassadors for Door County, for information about things you are interested in, whether it is shopping, restaurants, outdoor activities or anything else you need. When deciding on Door County lodging, Ephraim is a perfect destination since it is close to the best of what the area has to offer. Make a reservation today for Bay Breeze Resort, one of the best Door County resorts, and plan that perfect romantic trip. Call 920-854-9066 or send an email to [email protected] to make your reservation. Visit www.BayBreezeResort.com to learn more about creating memories that you will cherish forever.